Louisiana Governor John Bel Edwards and Louisiana Attorney General Jeff Landry. BATON ROUGE – Sam Hyde said he’s never seen anything like this. Hyde, a history professor at Southeastern Louisiana University and director of the school’s Center for Southeast Louisiana Studies, said the current battles between Democratic Gov. 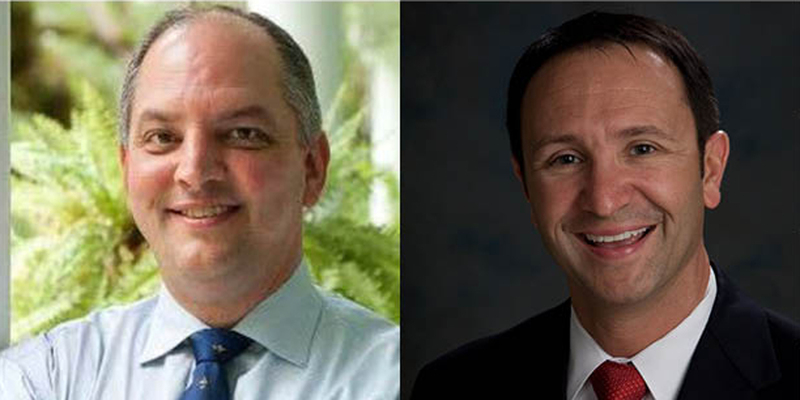 John Bel Edwards and Republican Attorney General Jeff Landry stand out in terms of their public nature, in his view. In just their first few months of working together since Edwards took office in January, he and Landry have been diametrically opposed on a multitude of major issues. For example, Landry released a statement on his website that called out Edwards for not doing more for passage of the deferred House Bill 1148, which dealt with cities perceived as sanctuaries for illegal immigrants. The two have also disagreed on Landry’s request to have his office’s budget be given more autonomy from the state, as well as on an executive order from Edwards on anti-discrimination rights for lesbian, gay, bisexual and transgender citizens. “I don’t ever recall ever seeing an attorney general or anyone else under the governor, for that matter, in an office in an adversarial type of relationship like this,” Hyde said. The public nature of the current squabbles is what makes this unique, according to Hyde. He contrasted the current situation with that of former Gov. Murphy J. Foster (grandfather to former governor Murphy J. Foster III), who was in office from 1892 to 1900, when he had differences of opinion with Allen Jumel, the state’s adjutant general. Hyde said that would not have been handled in a public type of way, with wars of words and the media weighing in on them, but rather more behind the scenes. Also, it’s not that Louisiana’s most-recent previous governor-attorney general team of Bobby Jindal and Buddy Caldwell went without their moments of differences, Hyde said. A 2013 article on The Lens had Caldwell estimating that he and Jindal spent a total of 35 minutes together in their first five-plus years in office. Still, Hyde said, they had a more cooperative relationship. Landry and Edwards represent a newer breed of politician in Louisiana, Hyde said – one that understands the need to change politics-as-usual in the state. With Louisiana’s massive budget deficit – the state is looking at a projected $600 million shortfall for 2016-17 – leading a list of issues, common ground will be needed between the two to help get Louisiana out of trouble. Hyde believes that Landry and Edwards are testing each other a bit right now, and that they may reach a plateau in perceived hostilities. “(What) I expect to see, based on the history of Louisiana and stuff, is that they’re going to find some way to get around this (conflict),” Hyde said. There has been something resembling detente recently between the two, at least when it comes to one issue. The Advocate reported on May 30 that Landry and Matthew Block, the governor’s executive counsel, met with coastal-parish officials concerning lawsuits filed against oil and gas companies over destruction of coastal wetlands and marshes. The purpose of the meetings reportedly was to have a cooling-off period on legal action by the parishes in order to organize a unified front among the parishes – and the attorney general and governor. The two also have some connections politically. Although Landry is more of a social conservative than Edwards, Hyde said, Edwards is conservative on issues such as abortion and gun rights. “That’s why I’m hopeful when I look at those two, in the bigger picture they’re not that far apart," Hyde said. "There’s a lot of room for them to work together."